Arthur der Weduwen is a researcher at the University of St Andrews and the author of Dutch and Flemish Newspapers of the Seventeenth Century (2 vols., Brill, 2017). An earlier version of this work won St Andrews University’s Gray prize, and the Elzevier–De Witt prize in the Netherlands. 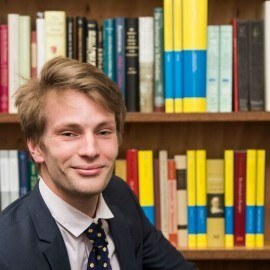 His PhD is a study of government attempts to shape public opinion in the seventeenth-century Dutch Republic. 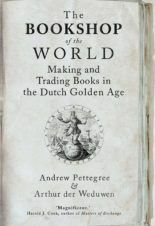 His most recent book, The Bookshop of the World, co-authored with Andrew Pettegree, is a ground-breaking study of the unacknowledged marvel of Dutch culture of the Golden Age, its command of the European book trade. It was published in February 2019 by Atlas Contact and Yale University Press.